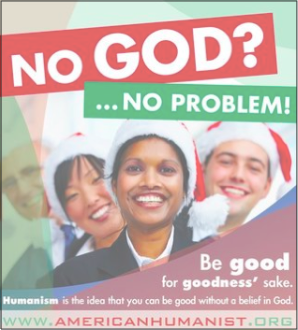 Many Freethinkers (also often referred to as Humanists) have trouble with Christmas. This is not only because of excess consumption, rabid commercialization or sentimental angst. Rather we have trouble getting over the distinctive “Christian narrative” that for some makes “Jesus the (only!) Reason for the Season”. This severely limited view of the annual celebration completely ignores the much older traditions of light, renewal and reflection that continue to mark the winter solstice. Further, it denies the experience of the only two consecutive holidays in the Canadian holiday calendar, without having the majority Canadians, who are not professing Christians, to wonder why these days? An article by Doug Muder in The latest issue of the the UU World highlights how many Humanists get over this angst by “celebrating Christmas joyfully, meaningfully, and authentically, without pretending to be Christians or grinchishly trying to take anything away from them”. The article gives us permission to enjoy the music, the friends and family, the quiet and even the cold of the Season, without trying to rationalize conflicting theologies.